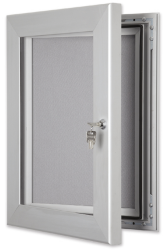 A conversion chart is provided below to show sizes of our Silver Lockable Frames. Note the dimensions of a frame refer to the size picture/poster that can be framed. The framing is extra to that size. Note: Some sizes are rounded; also please allow a tolerance of 2mm for actual frame sizes. 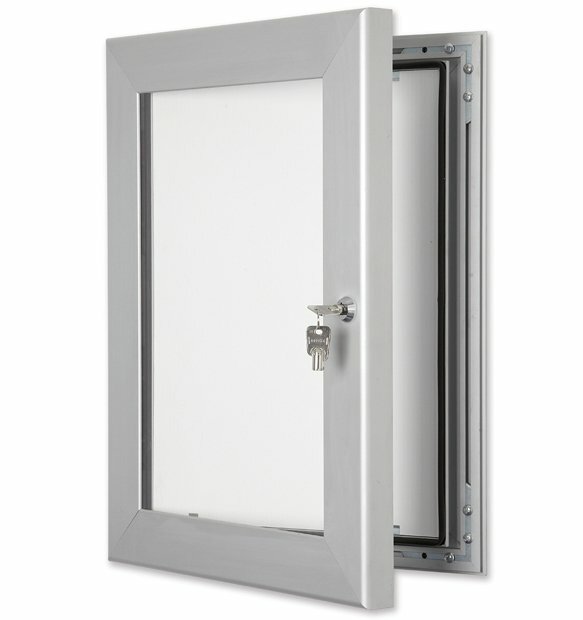 These Silver Lockable Pin Board frames are a popular and economic choice for a secure key lock, waterproof frame, suitable for both outdoor and indoor use. The inside of the frame contains a pin board backing in a choice of four popular colours. Ideal for posting adverts, memos, posters, etc. which can be rapidly changed. 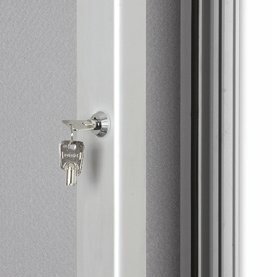 Doorstays hold the frame open whilst changing the image. As well as Silver this design is available in a wide range of colours including black, grey, green, red, etc. Quotes available on enquiry. Choice of four pin board colours.